The University of Sussex’s student newspaper has been seized, its website frozen and editor suspended today after a story about the university was published without permission. The University of Sussex Students Union told journalists at The Badger it was not allowed to distribute the paper this morning, and by this afternoon the paper’s Twitter account was reporting the union was attempting to seize copies too. At issue, the journalists say, was an article about a student who was taking legal action against the university. They are now intending on giving out copies of the paper themselves at midday in Library Square on Falmer campus. By this evening, journalists’ access to the website had been revoked and its editor in chief Paul Millar suspended. The paper’s remaining staff released a statement this evening said: “This week The Badger wanted to report on legal proceedings against the University by a former student. “The Students’ Union did not not cite any clear or specific legal reasons for blocking publication. “The Badger has received independent legal advice saying all content was legally sound. “We were advised that there could be no legal repercussions brought against the paper, its publisher (University of Sussex Students’ Union) or its writers as a result of the article. “Our editor sent the paper to print, despite not having permission from the Students’ Union. “The Students Union seized copies of the paper and we suspended distribution. “We strongly feel that our editorial independence has been compromised by the incident. “Our democratically elected Editor, Paul Millar, has been suspended and we call for his immediate reinstatement. “We are writers. We write about arts, sports, science and our opinions. We report news. We don’t want to argue with the union. We just want to write. The students of Sussex deserve to have an editorially independent newspaper. However, the union said it had taken action to cover its own back in the case of legal action. It said: “Each issue of The Badger has to be signed off by a Students’ Union representative before it is sent to print to ensure it complies with relevant legislation and to avoid the threat of litigation. 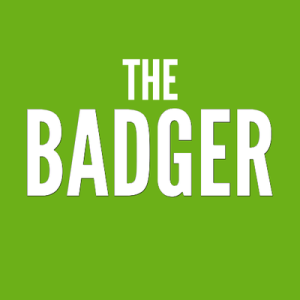 “This ensures The Badger is operating within the law and protects the union and student journalists from potentially costly legal cases as the union is the publisher of The Badger. “This process had not been followed for the most recent issue. The Badger were asked not to distribute the paper until it had been signed off in the correct way. “We are investigating how this occurred so cannot comment further at this point.